This peak is not in the book. Published January 2018. 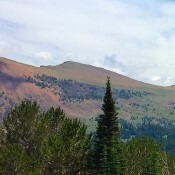 Double U Peak viewed from a point near Long Lake in the Lake Creek drainage. 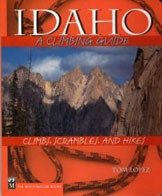 Lake Creek Trail/FST-064 [(C)(3)(d) at page 260]. Please refer to the North Ridge Route for Smiley Mountain for details on how to reach the upper basin ESE of Round Lake at 9,950′. From the upper basin, scramble NNE up Class 2 scree, finding an elk trail en route. 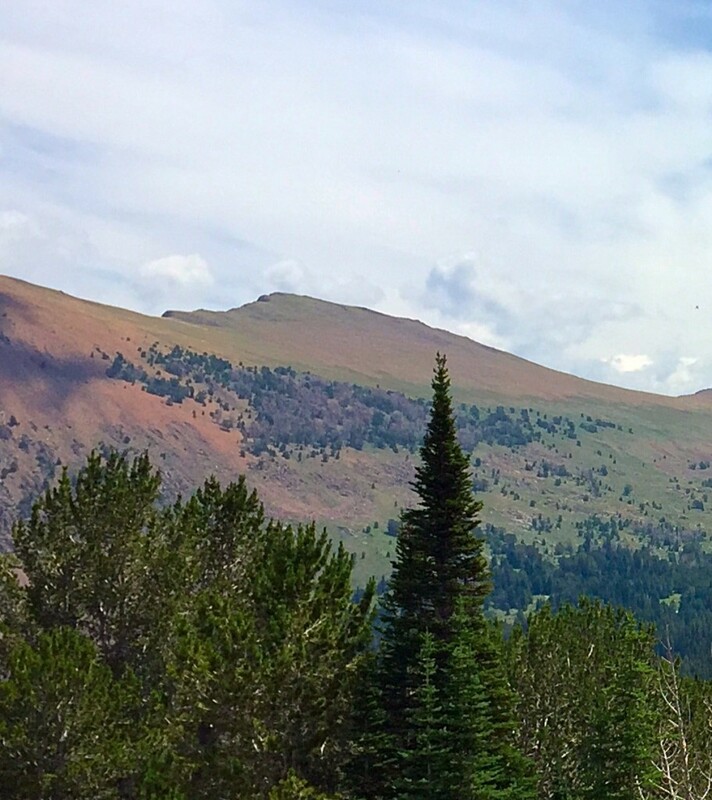 Follow the elk trail up to the 10,500′ saddle between Peak 10995 and Peak 11151. Plod up the easy scree/talus of the ridge to reach the summit of Peak 10995. You may be shocked at the exposure on the east and north sides of the summit, given how gentle the terrain is on the southwest side of the mountain.